Bill Straub was born on November 26, 1920, in Cleburne, Texas. He graduated from Thomas Jefferson High School in Port Arthur, Texas, in 1939, and then worked as a machinist's helper with Gulf Oil Company in Port Arthur from June 1940 to May 1942. 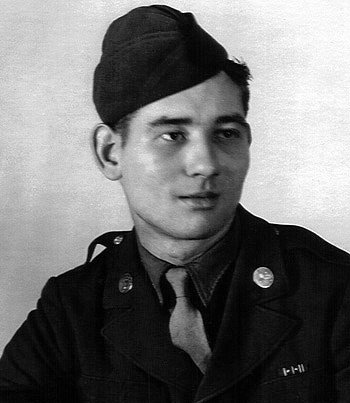 Straub enlisted in the U.S. Army Air Forces on May 5, 1942, and was trained as an aircraft and engine mechanic before deploying to England in July 1943. Sgt Straub was assigned to the 487th Fighter Squadron of the 352nd Fighter Group in England from July 1943 to September 1945. He received an honorable discharge from the U.S. Army Air Forces on October 19, 1945.